High Hopes for 2012? Share the Love! I don’t know about you, but I’m really tired of adversity. 2011 seemed to be a banner year for arguing for the sake of arguing and those that believe that polarizing people is a sign of strength (are your ears burning Congress?). We seem to have forgotten that although the ride in between can be very different; we all get here and leave the same way. There are many more similarities between people than there are differences, yet this last year we seemed to focus only on the disparities. So, as we close the books on 2011 I’m ready to do what I can, in my own small way, to make the world a kinder place. My personal life plan for 2012 involves making a real commitment to actively discouraging messages that polarize, encouraging the similarities we all share, and doing my best to show kindness. Show patience when the elderly woman in the check-out line slows the process by fumbling with her money. That may be me one day. Avoid pre-judging the people I meet on the basis of where they live, the car they drive, or the clothes they wear. Practice listening without a pre-set target for the outcome of the discussion. Remember that life is not a wealth accumulation strategy. Support education. It is the least expensive, most effective weapon that can change the world for the better, forever. Set an example for my children, family, friends and business associates by taking the higher road. Think twice before saying or writing something negative. Appreciate myself. The bumps, wrinkles, not-so-good habits, and all. Never be afraid to love. The benefits will always outweigh the risks. Will I meet all my goals? I’d like to think so, but even if I slip a bit now and then, I will know that I’m at least trying to make a positive difference. What would you add to my list? I’d love to hear from you! Best wishes to all for a kinder, more tolerant world in 2012. I look forward to sharing it with you! 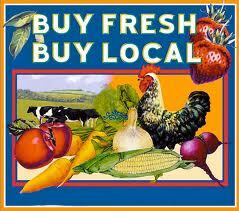 There is no better way to support a healthy diet and your local economy than buying your produce at a farmer’s market. San Diego Countyhas an abundance of local farms growing everything from avocados to chilies and every week they bring their crops to market sites throughout the County. Here is the most comprehensive list I’ve been able to find* of 39 popular Farmer’s Markets. Enjoy! Tuesday: Coronado Island’s Ferry Landing from 2:30 p.m. until 6 p.m. in the parking lot of the Il Fornaio Restaurant. 1st & B. – Ferry Landing, Coronado, CA 92118 www.coronadoferrylandingshops.com. Ocean Beach 5 – 8pm – 4900 Block of Newport Avenue between Cable & Bacon, Ocean Beach, CA 92107. Purchase the most delicious, locally-grown, produce, art, flowers, local music and more www.oceanbeachsandiego.com. For information about any of these San Diego neighborhoods, just give me a call! 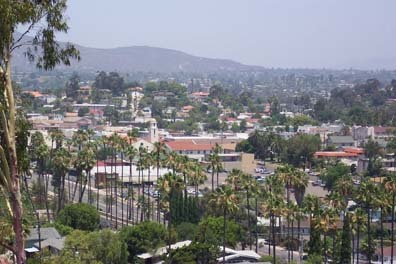 La Mesa,CA is a great place to call home! From the quaint downtown filled with restaurants and antique shops, to the views from Mt.Helix, there are many wonderful neighborhoods with their own distinctive vibe. But like most everywhere throughout the county, real estate values continue to slip, as noted in this real estate market update. Prices for single family homes have not showed a significant decline throughout the year, which may be a sign that the market is starting to level out. The average price for November for attached homes is surprisingly high when compared to the preceding months. As we enter 2012 we will have to see if this is a trend, or merely a month with more sales of higher priced units. To learn more about the La Mesa, CA real estate market, just give me a call! I’ve lived in the area for over 20 years and would love to show you why this is such a great place to call home. A great way to celebrate the holidays is to visit some of the tremendous holiday light displays throughout San Diego County. Here is a list below, kindly supplied by Kurt Stuber at Fidelity National Title. 7048 Hillsboro St. Off Waring and Princess View. Dec. 10-24, dusk-10 pm. Fairway Village, east and west side of Stoney Gate Pl. 85+ homes decorated. Dec. 1-Jan. 1, 5:30-10:30 pm. Neighborhood Block Party on Dec. 17 with food, entertainment, Santa, musicians, carolers and more from 6-10 p.m.
Whitney St./Mankato. Circle between First and Second Ave. off H St. & 1st Ave. “Christmas Circle.” 55+ homes decorated. Dec. 10-26,5-10 pm. Lana Dr. & Jamar. Off Mt. Abernathy Ave. Circular street. 40+ homes deco-rated. Dec. 10-27. 4670 Norwalk Ave. Off Clairemont Mesa Blvd./Moraga Ave. Dec. 11-Jan. 1,7-10 pm, weekends7-11 pm. 1523 48th St. Off Federal Blvd. & 48 St. Dec. 4-24, 5-10 pm. 4641 Craigie St. Off Highway 94 and 47th. Dec. 10-24, dusk-10 pm. Jingle Bell Hill (also known as Pepper Dr. Lights). Solomon Ave./Pegeen Pl. and surrounding area. Off 67 & Bradley. “Celebrating the Reason” theme. Dec. 9-26, Mon-Th 6-9 pm, Fri-Sun 6-10 pm. 11456 Pegeen Pl. “Nightmare Before Christmas” theme, complete with Jack, Sally, Zero, the Mayor & Oogie Boogie. Dec. 5-26, Mon-Th 6-9 pm, Fri-Sun 6-10 pm. 1838 El Pico Dr. Off Hacienda Dr. 48th year of decorating the 20-ft. star over 100 ft. in air, overlooking El Cajon valley from Nov. 27-Dec. 31. Also see a 55-ft. train. Dec. 10-31, dusk-10 pm. 689 Meadowbrook Dr. Off Jamacha Rd. South of Lemon Grove. Dec. 8-Jan. 1, dusk-10 pm. Santa and Mrs. Claus may be out from Dec. 17-23. 12631 Stoutwood St. Off Twin Peaks Rd. & Deerwood St. Nicknamed “The Griswolds.” Dec. 1-Jan. 1, 5:30-10 pm week-days, 11 pm weekends. Hickory Ct./Hickory St., 12659 Butterwood Ct. and Rockrose Ct. All off Twin Peaks Rd. & Silverset St. named “Candy Cane Courts.” Entire cul-de-sacs are lit up. Dec. 10-24,6-9 pm. Oviedo St. Off Black Mountain Rd. “Christmas Card Lane.” Also enter off Twin Trails Dr. & Carmel Mountain Rd. EllinghamSt., Renato St., OviedoSt., Twin Trails Dr., Barrymore St., Rotherham Ave., Talca Ave., Talca Ct., Allenbrook Way, Daven-port Ave., Amber Sky Ln. Dec. 11-31, dusk-10 pm. 6296 Lake Arrowhead Dr. Between Dallas & Lake Murray. Lights, Santa Claus, animated window scenes. Dec. 5-27, dusk-10 pm. Block of 7900 and 8000 Hillandale Dr. Off Mission Gorge & Deerfield. Dec. 1-31,5-9 pm. Sunburst Santee. Tomel Court, off Magnolia. Many homes, Starlight Circle. Dec. 17-26, 7-10 pm. 9835 Pebble Beach Dr. Displays on house and yard set up to music. Dec. 1-31, dusk-10 pm. 2621 Raymell Dr. Yard decorated like Christmas Town from “A Nightmare Before Christmas”. Dec.10-30, dusk-10 pm. 2133 Seagull Ln. Horse & carriage, doe, tree & gifts. Dec. 10-24, dusk-10 pm. 5306 Belardo Dr. Off Via Valarta & Via Playa Del Cortes. 95,000 lights, including many homemade decorations, all sequenced and animated to music. Tune radio to 89.7 FM to hear the lights dance. Nov. 26-Dec. 26, 5:30-10 pm.www.belardolights.com 11626 Papagallo Ct. Off Colina Dorado or Calle De Vida. “Thomas the Tank Train Engine” theme. Dec. 3-30, 6-10 pm. 10927 Baroque Lane. A “North Pole” themed Christmas featuring a 20-ft lighted Santa and aChristmasVillage. Dec. 9-28,6-9:30 pm. 1 505 Roma Dr., corner of Lupine Hills and Roma Dr. Inflatable’s and over two 2 dozen homemade plywood cutouts of Disney and other holiday characters. Nov. 26- Dec. 31, Sun-Th6-10pm, Fri-Sat6 pm-midnight. Jimmy Durante Blvd./Via De La Valle. Off Highway 5. Animated holiday lights. Nov. 24-Jan. 1, Sun.-Thurs, 5:30-10 pm; Fri.-Sat., 5:30-10:30 pm.Closed Nov. 28, Dec. 5 & 12. $14/vehicle (up to 5 people), $19/van or car (6 or more), $49/bus. 858-755-1161. 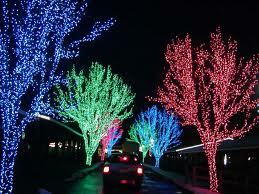 http://www.sdfair.com., www.holidayoflights.com. Gaslamp for the Holidays Downtown San Diego. http://www.gaslamp.org. 1500 Orange Ave. Tree in the lobby is beautifully decorated plus 100,000 lights illuminate the resort from Nov. 30-Jan. 1. Lighting of the tree outside Nov. 30, 4-7 pm. 619-522-8490. http://www.hoteldel.com. Real snow! Snowball targets, build a snowman with LEGO accessories, see holiday LEGO displays. Nov. 19-Jan. 2. Nightly tree lighting at 5 pm, Dec. 1-24. Nightly fireworks, Dec. 26-31. 760-918-5346. http://www.legoland.com. Over 100 vessels. Begins on Quivira Basin. Dec. 10, starts at7 pm, fireworks at 9 pm. 858-488-0501. http://www.missionbayparadeoflights.org. Boats decorated in holiday lights circle Oceanside Harbor. Sponsored by the Oceanside Yacht Club. Dec. 10,7 pm.760-722-5751. 40th Anniversary, “Back to the Future” theme. Dec. 11 & Dec. 18. Fireworks,5:30 pm then parade til9 pm. Starts off Shelter Island, goes through the harbor and ends at the Ferry Landing, Coronado. http://www.sdparadeoflights.org. 230 Quail Gardens Dr., Encinitas. 100,000+ lights illuminating the plants and trees. Dec. 8-23 and Dec. 26-30,5-9 pm. Nutcracker ex-hibit, marshmallow roasting, live music, kid crafts. Adults, $12, children 3-12, $4. 760-436- 3036. http://www.SDBGarden.org. Balboa Park. Dec. 11-23, Dec. 25-Jan. 2. Lighted animal figures, bell ringers, nightly tree-lighting ceremony, “Night Before Christmas” interactive show. 619-231-1515. http://www.sandiegozoo.org. The Skytower lights will sparkle after dark. Nightly a t6 pm.Weekends Nov. 19-Dec. 11, daily Dec. 17-Jan. 1. http://www.seaworld.com. 108 Ivy St., corner of First and Ivy, downtown San Diego. Nov. 24-Jan.1,5-10 pm. See Santa on the roof on Dec. 16 from5:30-8:30 pm.619-533-7900. For information on buying or selling in any these great San Diego areas, just give me a call! Happy Holidays! All times and dates subject to change. Well, we saw it coming, and sure enough, as a result of Senate Bill 458 2nd lien holders in California short sales are putting on the squeeze. The bill was well intentioned, as it restricts 2nd lien holders in a short sale from issuing a deficiency judgment or demand that the sellers bring money to the table. But since the bill passed in July, I am increasingly seeing the 2nd lien holder holding out for a pay-off of as much as 35% of the remaining balance on the 2nd TD. And they don’t care who brings it to the table. I recently had a 2nd lien holder request that the seller ask her friends if they could contribute! Are you kidding me? The result of course is that 2nd lien holders may be blocking California short sales. Case in point: I have a short sale that I’m negotiating with servicer G—-T— in the 2nd position. They are demanding 25% of the outstanding balance on the 2nd, which is approximately $40K, so they want roughly $10K. The 1st lien holder won’t allow more than 6% ($2400) to pay-off the 2nd. The buyer is contributing another $2K and the selling agent and I are each kicking-in $1K…but that still puts us short of what the 2nd lien holder is demanding by $3600. So, I’m in the process of trying to negotiate with G—-T— to lower their demand. Don’t they understand that if they refuse to accept a lesser amount the property will foreclose and they’ll get nothing? The 1st lien holder is holding firm at 6% and there is simply no other source of funds. Will they lower their demand, or will this be a failed short sale, killed by the 2nd lien holder? 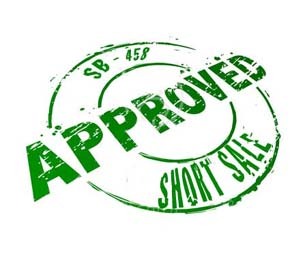 Another Wave of Short Sales on the Horizon?